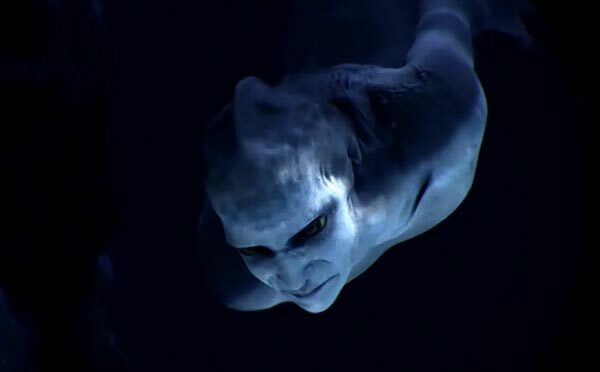 The Aquatic Ape Theory is something I first heard about from one of my favourite blogs, “Mermaids Are Real,” (which is actually a published book as well.) Contrary to its crypto-zoological title, its actually more about real history than it sounds, but that’s a story for another day. I won’t necessarily say that I subscribe to the Aquatic Ape Theory myself, but it certainly is an extremely interesting theory to consider. Did we come from the seas or the trees? If the AAT is true or not is not really the point of this article. The point is more to consider where we get our more aquatic traits from, considering the fact that the other great apes sink. So what is the Aquatic Ape Theory anyway? Before going into the story of Aquatic Apes, let’s go over the what was previously the most widely accepted theory, which is the Savannah Theory. The Savannah Theory details a specific chain of events that would have likely led to the development of the modern human, including shedding our hair/fur, bipedalism, and more. In short, due to shrinking forests, humans had to leave their tree-dwelling habitat and move towards the open lands of the Savannah. In Savannah life, humans would have had a significant advantage through bipedalism which would enable them to see over tall grasses, and expose less of their body to the sun. 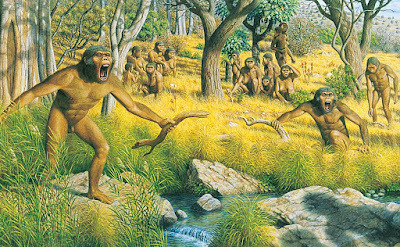 Thus, being forced into the savannah would have played a direct part in the evolution of the modern human. On the other hand, the Aquatic Ape Theory proposes that our ancestors may have been a more aquatic and “water-dwelling” species, leading to many of the evolutionary adaptations that we see today. With life in the trees being too competitive for food and shelter, humans ventured towards the coasts. Living near the water, we slowly ventured deeper and deeper out in search of food. In such a case, it would have been advantageous to walk on two legs to keep our heads above the water. Aquatic Ape scientists theorise that a heavily seafood based diet could have been a contributor to the large brain size of humans. Humans ability to dive may be consistent with foraging for food around and underwater during our more ‘prehistoric’ days. While some of these points can be explained through other theories as well, here are a few interesting points to consider. As we all know, one of the ways mammals are identified is through hair and fur on their bodies. Of the known mammal species, the only ones that are has hairless as modern humans are marine mammals such as dolphins and whales. While one might say that there is clearly no relation between modern humans and dolphins, one might still wonder if the aquatic nature of marine mammals is what lends to their hairlessness. While some large primates such as chimpanzees and orangutans can learn to swim, humans are certainly more adept in the water. This may be due to the fact that humans often learn how to swim from a young age, but it may not be the only reason. Even amongst “skinny” people, humans have a layer of fat that aids in both insulation and buoyancy. This not only keeps humans warm in water, but also means that humans have to expend relatively little energy to stay afloat. Apes, such as chimpanzees, on the other hand, have very dense muscles which would cause them to sink easily when in water. Many mammals (even non-aquatic mammals) have the so-called “dive reflex” which enables them to automatically hold their breath when their face is submerged in cold water. The dive reflex also slows the heart rate to conserve oxygen. Interestingly, this contributes to the ability to hold your breath longer while underwater than while on land. Unlike many mammals, humans also have the ability to voluntarily control breathing, intentionally breathing slower or holding your breath. For no reason at all, here’s a video of a diving dog. And finally, here is a human free diver hunting 20 meters underwater. In present day, humans can be found in almost all environments around the world, including coasting, mountainous, desert, and pretty much anywhere you can think of. That being said, the fact still remains that populations are primarily concentrated around the coasts, and the humans are and always have been coastal dwelling creatures. Not that this has anything to do with Aquatic Ape Theory – this article is basically me talking about a lot of random things. That being said, what do you think of the AAT? Feel free to provide any thoughts, facts, and opinions for or against AAT! The so-called "aquatic ape theory" (a rather inaccurate term) has nothing to do with mermaids. For an update of the Littoral Theory (intercontinental diaspora of early-Pleistocene archaic Homo along African & southern Eurasian coasts & rivers), please google "coastal dispersal of Pleistocene Homo 2018 biology vs anthropocentrism" or "Ape & Human Evolutio, 2018 Marc Verhaegen". I'm assuming that the human who held his (her?) breath for 24 minutes spent some time prebreathing pure oxygen, which can saturate the tissues and allow a person to suspend breathing longer. Otherwise, I have a hard time seeing how it was done. Usually, the brain is damaged after about three minutes without oxygen. The mammalian diving reflex can, under the right circumstances, extend that time considerably, but at the cost of complete inactivity and a lowered metabolism (usually due to cold). And even then it rarely works. Hi Eric. IIRC, the maximum breath-hold diving time for humans is now about 10 minutes for women, and even 11 minutes for men, but likely our littoral ancestors had a diving cylcle of "only" 2 minutes or perhaps less, according to the nasal cycle (swelling of cavernous sinuses on the inferior nasal concha in humans) & the duration of sleep apnea in humans. For an update of the littoral theory, google "Pleistocene coastal dispersal 2019 biology vs anthropocentrism.